Johnny Cash was a seventeen-time Grammy winner who sold more than 90 million albums in his lifetime and became an icon of American music in the twentieth century. 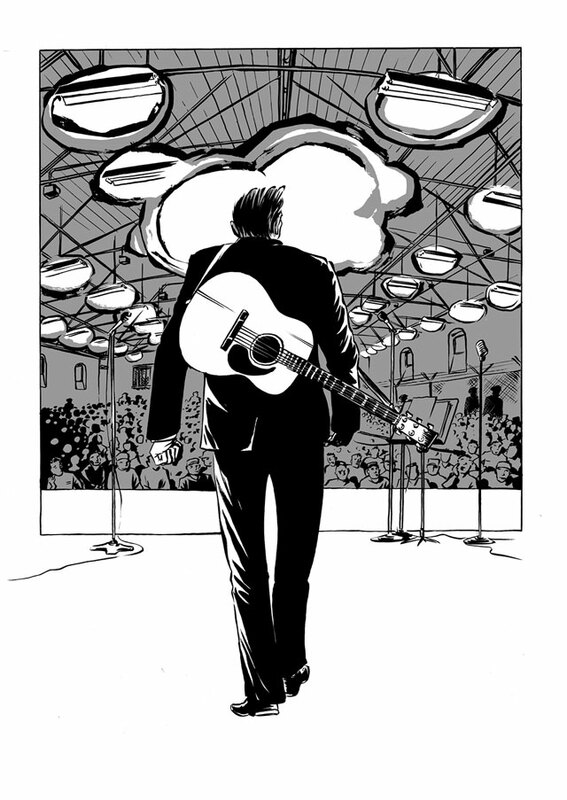 Graphic novelist Reinhard Kleist depicts Cash's eventful life, from his early sessions with Elvis Presley in 1956 through the 1968 concert in Folsom Prison, his spectacular comeback in the 1990s and the final years before his death in 2003. 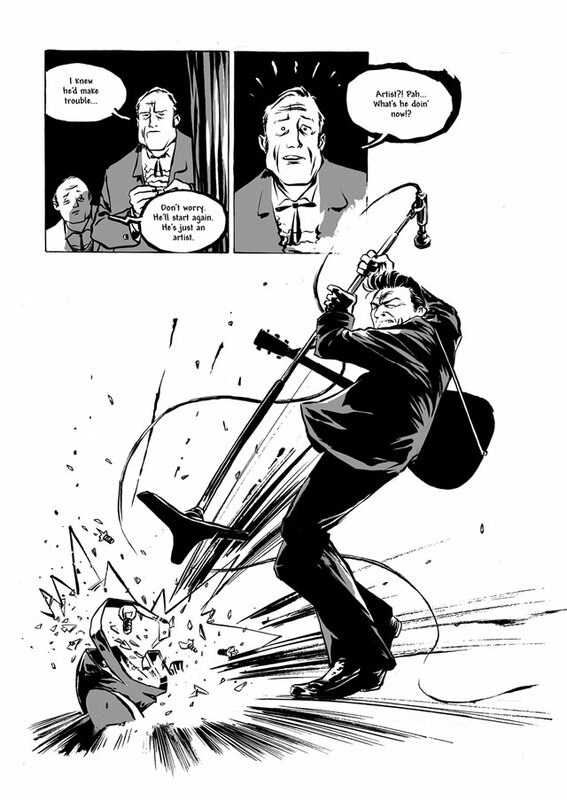 Nominated for an Eisner Award, Johnny Cash: I See a Darkness vividly portrays the unpredictable, turbulent life of a loner, patriot, outlaw and music business rebel with all the drama and character befitting a man who became a legend in his own lifetime. 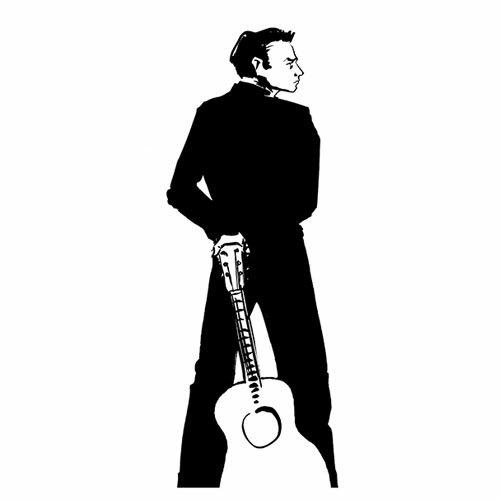 "The Man in Black has become the Man in Black and White... a handsome addition to Cash mythology." "Way beyond any stereotypes people may have about comics and graphic novels." 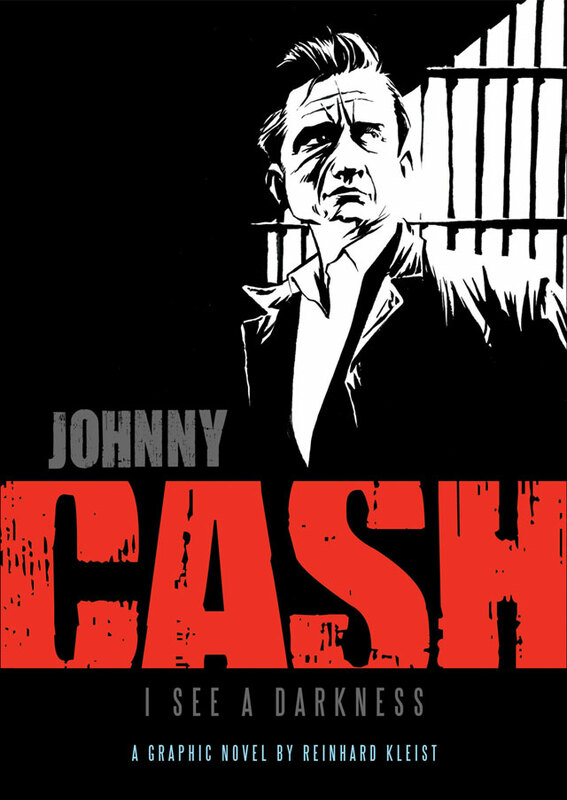 "Cash may be six years dead, but the Man in Black is alive and still kicking."